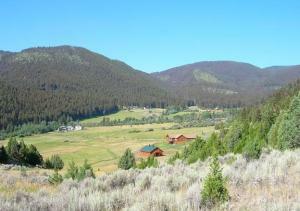 Elk Hills in the South Meadow Creek area is one of the most desirable areas of the Madison Valley. It is characterized by rolling hills, acres of land protected by trees and other native vegetation and tremendous views of the valley. It is close to National Forest Service land, great hunting and fishing. Elk Hills is an upscale neighborhood of beautiful homes and strong covenants to protect property values.